In association with the Czech Centre. Soak, Steam, Dream: Reinventing Bathing Culture, the latest exhibition from the Roca London Gallery, explores a new social bathing culture emerging through architectural projects around the world. 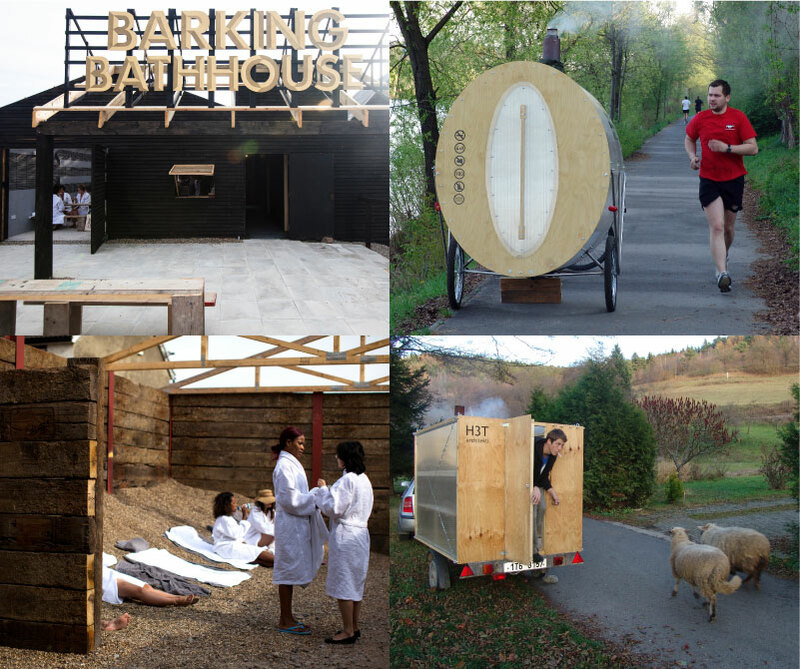 Two architecture practices featured in the exhibition – H3T Architekti from Prague and Something & Son from London – will join Soak, Steam, Dream curator and writer Jane Withers, to discuss some of their recent projects – from mobile guerilla saunas to an urban bath house in east London. The exhibition’s designers, Kellenberger-White, will talk about how they captured the sensorial spirit of bathing in their design concept for the Gallery. Drinks and food inspired by bath house culture will be served during the event.